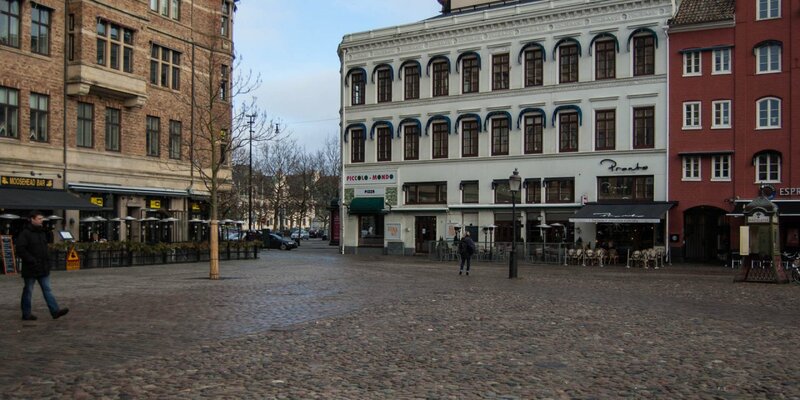 The market square Möllevångstorget and the surrounding former working class district Möllevången in Malmö is nowadays probably the most prominent example of Malmös multicultural charm. A colorful fruit and vegetable market is held on the Möllevångstorget every day. In the surrounding house are smaller shops with a variety of goods from around the world. 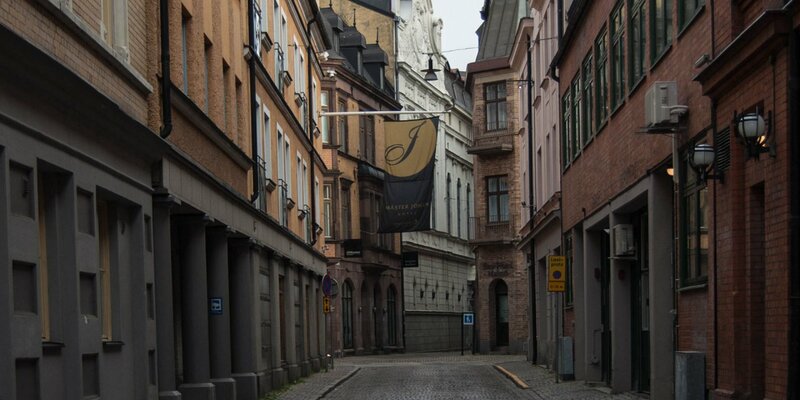 In the evening a vibrant nightlife awakes – nowhere in Malmö is the concentration of exotic restaurants, pubs and bars higher than in the so-called district "Mölle". Möllevången is sometimes even referred to as the Soho of Malmö. Möllevången is a comparatively young district. In the early 20th century designed on the drawing boards of the city planners to provide housing for the numerous industrial workers. The district was almost self-sufficient from the beginning, a sort of city within the city. With own shops, pubs and the market square, supplied by the farmers from the surrounding countryside. Workers history was written in Möllevången and you can find important roots of the Swedish labor movement in this district. 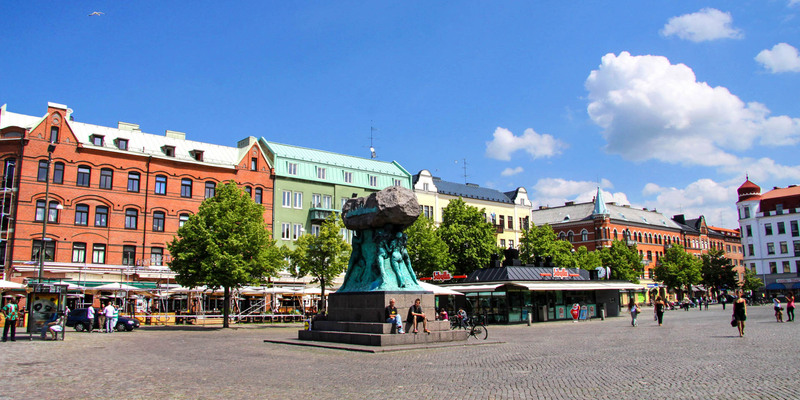 In the past, Möllevången witnessed demonstrations and violent clashes. Axel Ebbes monument Arbetets ära (Honor of work) on the Möllevångstorg is just as significant for this location like the Folkets Park on the other side of the district. 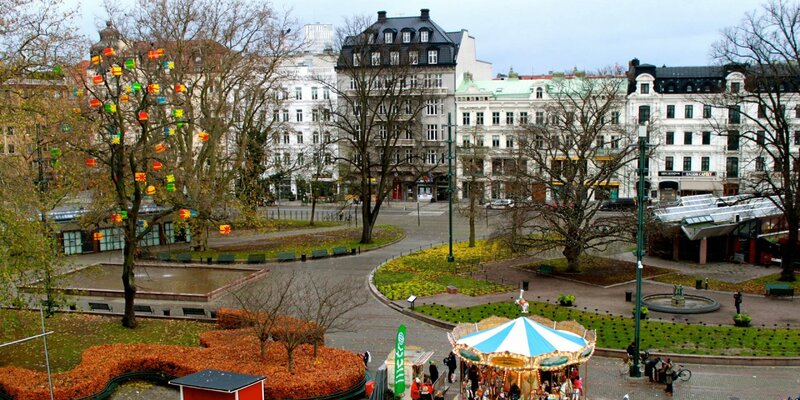 Like all these parks in Sweden it also owes its origin to the labor movement and the Folkets park in Malmö was the first of its kind in Sweden.